Delta Airlines is a major American airline with its largest hub based in Atlanta, Georgia. True to its slogan, “keep climbing,” Delta Airlines aims to make traveling a heightened experience through superior service – from the ticketing counter to in-flight support. Delta Airlines began as a crop dusting operation called Huff Daland Dusters, Inc., based in Macon, Georgia. Crop dusters were sent out to combat the boll weevil infestation in the in the area. In 1928, Collett E. Woolman, one of the original directors, purchased the company, expanded its service, and renamed the company to Delta Air Service. The inaugural flight happened in 1929 and followed a Dallas, Texas and Jackson, Mississippi route. From then on, Delta became one of the world’s largest global airlines with carriers that service over 50 countries in 6 continents. They have more than 80,000 employees worldwide and operate more than 800 aircraft in their mainline fleet. Working in Delta Airlines entitles employees with an attractive compensation package that includes competitive pay, comprehensive benefits package, and worldwide travel privileges. Employees get health and insurance coverage with medical, dental and visual coverage for themselves and their dependents. It also includes a retirement plan, insurance, paid vacation and time off. Employees also enjoy profit sharing with eligibility beginning from day one of employment. 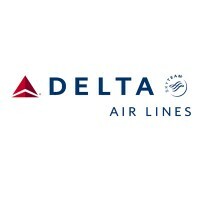 Delta Airlines is a preferred airline company to work for because of its appealing compensation and benefits package, the continuous training provided to its employees, and the attainable growth potential within the company. They invest in their people and aptly compensate them for their contributions to the company’s success. What’s the minimum age requirement to work at Delta Airlines? Individuals 18 years and above are eligible to apply for a job with Delta Airlines. Interested flight attendants are required to be at least 21 years old to join. As a global company, Delta Airlines offers an assortment of exciting careers. Flight Attendant: A flight attendant ensures the safety and comfort of passengers while traveling. They provide assistance in lifting and stowing luggage, demonstrate the use of safety and emergency equipment, and administer emergency procedures if needed. They prepare and serve all in-flight meals and drinks. Applicants must have a high school or GED diploma. English proficiency is required, and fluency in another language is a plus. Baggage Handler / Ramp Operator: Safely lift, load, unload and transport baggage, mail and cargo to and from the aircraft and protecting them from damage, loss and the weather are some of the tasks required of this position. Operators also use ground equipment such as transport carts, tugs, belt loaders and tractors. They ensure that all baggage are properly tagged and routed correctly to the passenger’s destination. Cargo Customer Service Agent: A cargo agent coordinates and facilitates incoming and outgoing shipments. They operate ground equipment such as forklifts and tractors to safely lift, load, unload and transport cargo and mail to the aircraft. Applicants should have a valid driver’s license and be able to work in shifting schedules and inclement weather. Airport Customer Service – Gate/Ticketing: Gate/Ticket agents rotate locations. They can either work at the ticket counter or a boarding gate. In the ticket counters, the agents assist passengers with luggage tagging, baggage check-in, and ticket processing. They also direct passengers to their departure gates. Gate agents are responsible for processing and boarding passengers. Customer Experience Specialist: Connects with customers by attending to their phoned-in questions. The specialist will identify customer concerns, troubleshoot, recommend solutions, and attempt to cross-sell other services offered by the airline. Aircraft Support Mechanic: Assists mechanics in non-technical functions related to aircraft interior or cargo bin components. They inspect and maintain all segments of the aircraft’s interior. They replace non-working parts and conduct minor repairs. Appropriate technical training and at least 6 months mechanical experience is required to apply for this job. Machinist: Machinists operate shop equipment to fabricate, repair and/or restore airframe and engine parts to their original serviceable condition. Applicants must be willing to work shifting schedules and have a valid driver’s license. Applicants should have 4 years machining experience and a two-year post-secondary Machine Tool Technology certificate. Flight Simulator Technician: Simulator technicians perform maintenance functions for flight simulators, flight and cockpit procedure training devices, and other support devices to meet pilot training needs. They ensure that all devices function within the FAA regulatory requirements. They troubleshoot problematic electronic, hydraulic and mechanical systems and conducting regular safety and performance checks. Maintenance Utility Employee: Assists mechanic in servicing and turning aircraft to ensure on-time departures and avoid equipment-related flight cancellations. They’re responsible for keeping the building, its facilities and equipment in top form. They use appropriate equipment and materials to clean the shop and facilities. They also do equipment touch-up painting. Ground Maintenance Mechanic: Performs as a semi-skilled mechanic in maintaining ground support equipment. They perform routine inspections and maintenance of equipment assigned. They perform minor repairs, installations, and replacement of faulty components. They assist mechanics in performing preventive maintenance of all ground equipment. The most convenient way to join Delta is by visiting their Careers page. You can search all open positions in various areas within Delta: in-flight operations, flight operations, customer service and cargo operations. All job postings include the job name, detailed description, key responsibilities and requirements. If you find a position that’s suited for you, click Apply Now. This will direct you to the online application form where you need to key in your personal information and employment history. You will then be asked to upload your resume and answer general questions. If the current job listing does not have what you’re looking for, you can also create a profile through Delta’s Talent Network. In here, Delta will match your skills and preferences for upcoming positions. You will also receive email alerts for jobs that are suited for you. With Delta, having customer service or aviation-related work experience is an advantage. Associate level applicants should specify this if they have any. They should also cite their technical competencies and accreditations in their resumes. For executive level applicants, resumes should detail management proficiencies and show accomplishments made under their leadership. The company follows a rigorous hiring process that includes an extensive background check and a series of employment interviews. The number and level of interviews vary, depending on the position applied for. Most interview questions revolve around customer support and aviation, problem solving, and analysis. C.E. Woolman, Delta’s founder, preaches empathy for customers, humility, and respect for the competition. These values are encapsulated in the “Rules of the Road,” a booklet outlining a set of principles and values developed originally for Delta executives, but is now given to all employees. This positive corporate culture has been acknowledged by the consulting firm Great Place to Work and Fortune Magazine. They’ve recently released the “2018 Best Company to Work For” list where Delta ranked No. 98 and was the only airline represented. The ranking is based on the survey responses of employees rating their workplace culture in terms of trust in management, compensation and benefits, fairness, and equality. Aside from the company culture, Delta is well known for its strong compensation scheme. This package includes a highly competitive base pay, an annual profit sharing plan and monthly bonuses. Delta shares the company’s successes with its employees and recognizes their contribution through their hard work and customer focus. Delta is committed to advancing education for the youth of today. Through the Junior Achievement program, youngsters are exposed to entrepreneurship and financial literacy lectures to arm them with the necessary know-how to succeed in the business world. Some students also spend time “job shadowing” Delta employees to expose them to real-world experience. 1 What’s the minimum age requirement to work at Delta Airlines?